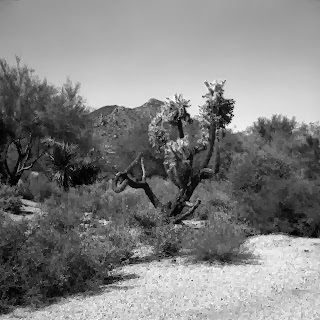 Adox Golf 75mm f4.5 Cassar Lens Ilford FP4 Plus Cafenol-C-M - A shot from the Sonoran Desert just outside of Phoenix in Carefree AZ.. The combination of Ilford FP4 Plus and Caffenol-C-M, did an outstanding job controlling the contrast if the desert mid-day sun. Despite battling bellow pin hole issues, I love shooting with my Adox Golf, it remains my favorite pocket medium format camera. Scanned using an Epson V500 Photo using Epsons OEM Software.